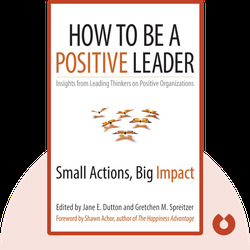 How to Be a Positive Leader by Jane E. Dutton and Gretchen M.
How to Be a Positive Leader examines cutting-edge research from the field of positive organizational behavior, in which companies aim to foster both a positive attitude to work and high performance among employees. The research is complemented with vivid examples from real organizations. 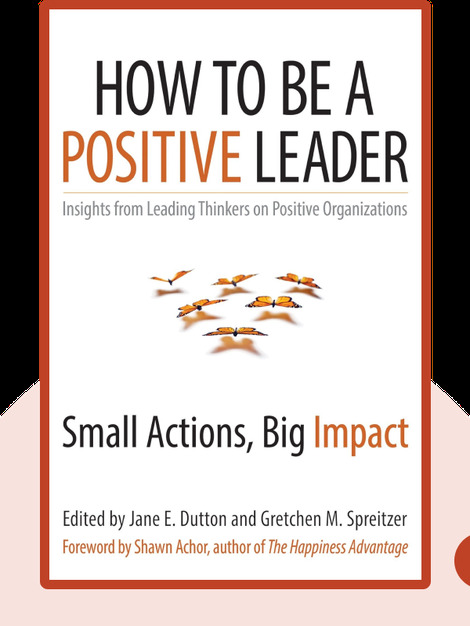 How to Be a Positive Leader was edited by organizational scientists Jane E. Dutton and Gretchen M. Spreitzer. Contributing essayists include distinguished researchers Adam Grant, the author of Give and Take, and Amy Wrzesniewski of the Yale School of Management.